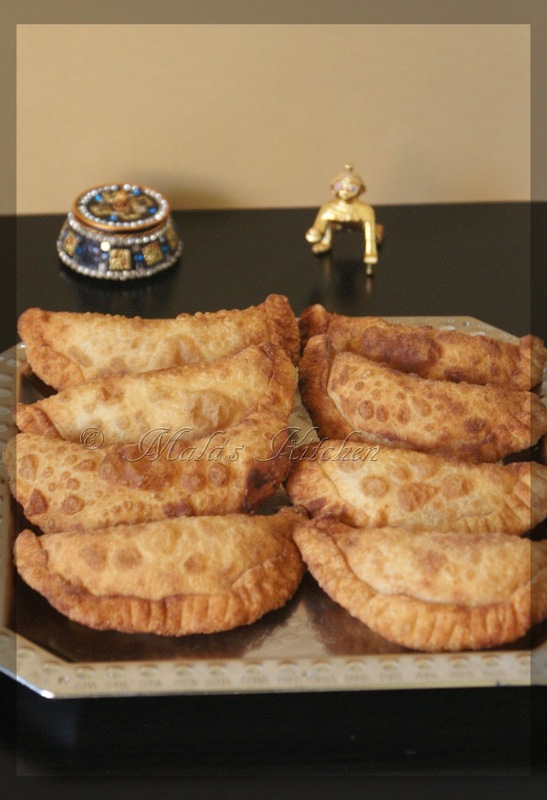 Kadubu especially made during Ganesha chaturthi. This is deep fried kadubu. 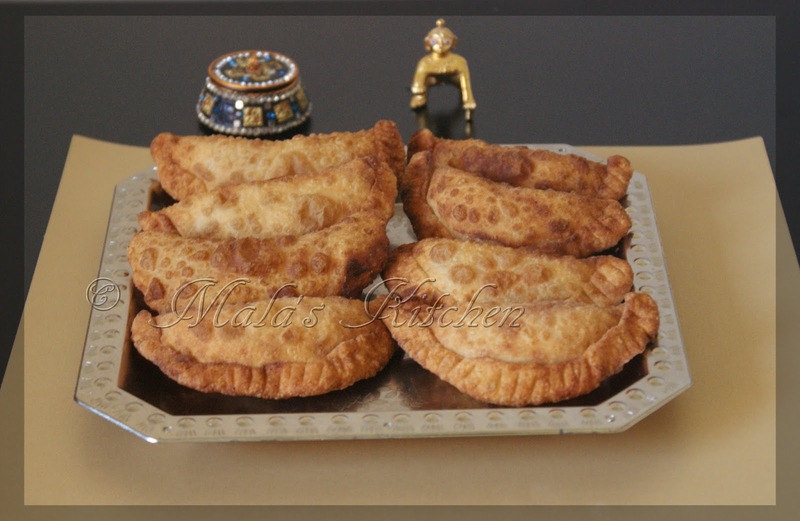 This is filled with kobri/coconut and sugar and nuts. Every year my mom and myself used to do this for Ganesha Chaturthi and make a garland (count = 21 ) out of this for Lord Ganesha. This is karnataka special. Oh thats really nice. IT is totally new to me and very interesting too. :) will surely try it out soon irrespective of the occasion. What alovely sweet .Happy Ganesh chaturthi. Looks great! Happy Ganesh Chaturthi to you and your Family! 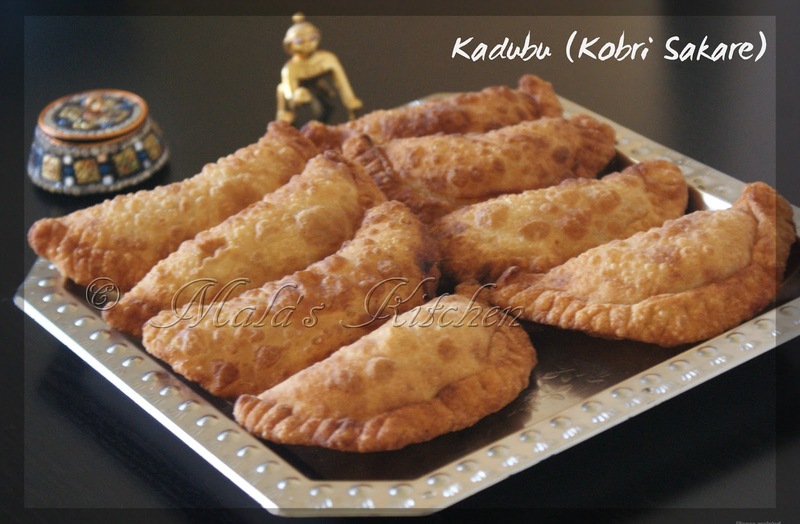 Wowww very delicious looking kadubu..